Lumens refer t the amount of light that is emitted from a bulb. High lumens equal a brighter light while lower lumens equal a dimmer light. Watts refer to the amount of energy that is used up when a bulb lights up. Lower watts mean that the bulb will consume a lower amount of electricity. You should never exceed the wattage that is indicated on the lamp. This yellowish color ranges between 2,700K and 3,000K. Soft White is perfect for living rooms, bedrooms, dens, and for highlighting dark woods. Warm White ranges between yellow and white. On a scale, it would range between 3,000K and 4,000K. This light is perfect for kitchens, bathrooms, and workspaces. The color ranges from white and blue. It would range between 4,000K and 5,000K on a scale. This kind of light is best for bathrooms, or kitchens that have white or chrome fixtures. There are some bulbs that can produce a wide range of colors. For example, Smart LED light can change the color that they emit across the spectrum of white. Light bulbs are available in a wide variety of shapes, sizes, and bases depending on where you will use them. The standard light bulb should be able to fit in table lamps, pendant lights, ceiling fans, wall sconces, and other types of fixtures. If you’re not so certain about the size of the bulb that you need, you should bring your old bulb to the store so that you don’t get the wrong bulb. 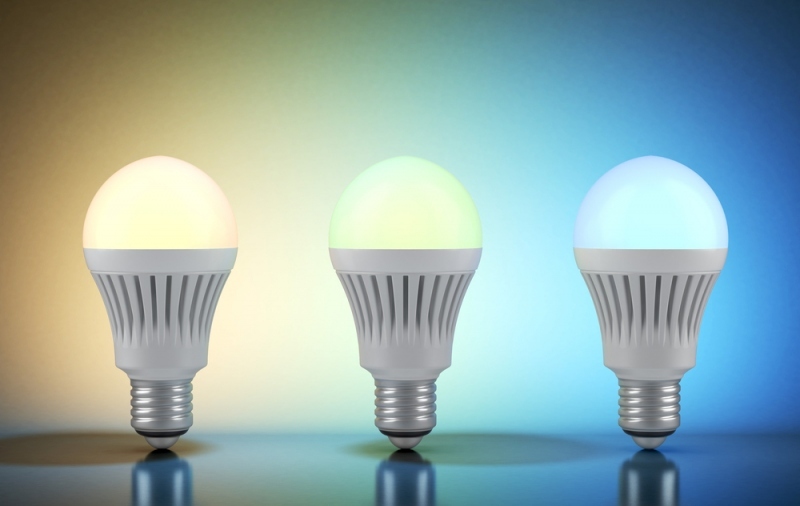 Manufacturers have created light bulbs that have built-in Bluetooth speakers. You can stream your playlists seamlessly.